When I put on the Oculus Go headset, ready for a 360-degree performance by The Fort Collins Symphony, I was a little surprised by the first scene: The lobby of the Fort Collins Lincoln Center, where a pre-concert social event is taking place. The second scene was a little unexpected too: Sitting at a table with four other people who are telling stories about their lives and talking about the program that inspired this video. Finally, in the third scene, I am in the concert hall, where music director Wes Kenney gives a pre-concert talk. Then Tchaikovsky’s Symphony No. 4 begins. The video and research, funded by the CSU Office of the Vice President for Research’s Catalyst for Innovative Partnerships program, and produced by Fort Collins VR startup Blue Penguin, is an experiment and investigation into the power of immersive technology and art on the human mind. 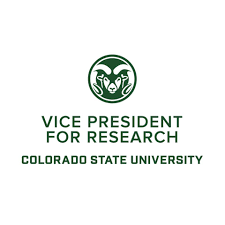 But it is also an extension of something these researchers already know from an initial collaboration launched three years ago between CSU and FCS called B-Sharp. The premise was simple enough: Offer 30 dementia patients and their caregivers free season tickets to the symphony’s Masterworks Series and test whether it improves cognitive functioning. Story originally seen in Forbes, 11/4/18.